As we've been reporting for a while now, Kiwi pop icons the Clean have been toiling away on a new record. Until now, though, all the talk has been just that: talk. Well, thank your lucky stars, because today the folks over at Merge have finally confirmed they will be releasing the band's first new studio album in eight years. 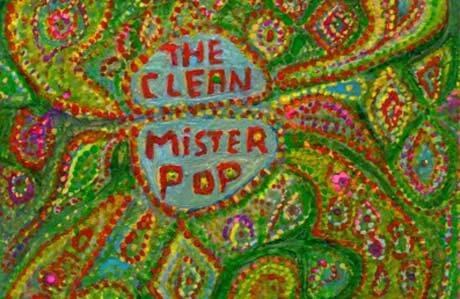 The Clean are going for the title Mister Pop on this one and have set the release date for September 8. The album follows up on their last full-length, 2001's Getaway, and 2003 Merge-released must-have Anthology, a double-disc Clean retrospective that should have a home in every self-respecting indie pop fan's collection. Mister Pop also has an album cover, which you can see a tastefully cropped version of above, as well as a tracklisting, which you can see below. And just to make this all a bit sweeter, the Clean have released a teaser track off the new record. To get it, just click here. Now, to go back to that bit about this being the Clean's first album in eight years. Yes, that is indeed true, but it doesn't mean the group's members haven't been busy in recent years. In fact, bassist Robert Scott released the Exclaim!-approved The Guilty Office album by the Bats in the group's homeland a little while back, and that record is still set to come out here in North America on June 23 via Hidden Agenda. Also, even more recently, the Clean's David Kilgour put out a new collaborative effort with one of New Zealand's best known/loved poets Sam Hunt. That album is called Falling Debris and came out in April on Arch Hill. On it, you'll find Kilgour and his other band the Heavy Eights singing and performing a selection of songs penned by Hunt. But don't worry, just because it's a collaboration with a poet, the record is no dreadful spoken-word affair. Just check out the video below. For even more details on Falling Debris, you can click here to read quite the detailed message from Kilgour about the project. 2. "Are You Really on Drugs?" 3. "In the Dreamlife You Need a Rubber Soul"
4. "Asleep in the Tunnel"
5. "Back in the Day"